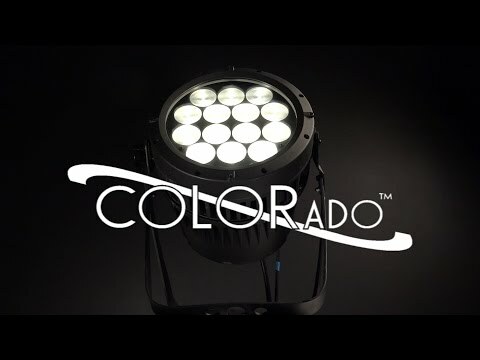 Colorado Batten 72 Tour is a class leading batten-style wash light powered by 72 calibrated red, green, blue, white and amber LEDs. The incorporation of white and amber LEDs affords superb color rendering and a vast palette from soft pastels to saturated hues. Its 16-bit dimming capability as well as five selectable dimming curves provide smooth fades and facilitates its incorporation into aging traditional rigs. Integrated trunnions accommodate clamps for vertical or horizontal hanging.